From the CEO of Vista Sand to the operation management team, Vista Sand is dedicated to delivering a high-quality and cost-effective proppant to companies in the oil and gas industry. In a very short time, the demand for frac sand has increased exponentially in the oilfield, and Vista Sand has positioned itself as an industry leader with its mine-to-well logistical solutions and close proximity to the oil and gas plays. As companies operating in the southern U.S. look for more cost-effective options without sacrificing on quality, Vista Sand’s Texas Premium White™ frac sand serves as a great fit. 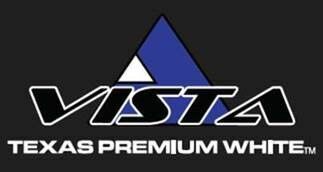 Vista Sand’s 100 Mesh and 40/70 possess a 9,000 psi and 7,000 psi crush strength, respectively, which is the highest “k” factor currently produced in the State of Texas. Additionally, Vista Sand held 10% of the total US frac sand market and 25% of the entire U.S. 100 Mesh market in 2016. Vista Sand is headquartered in Granbury, Texas, and, in addition to the one mine in Granbury, it plans to open two additional mines in 2017. Vista Sand has two sister companies, Maalt, LP and Maalt Specialized Bulk, which offer transloading and trucking services for customers looking for low-cost transporting options. Finally, Vista Sand is well-known for its dedication to safety, and was recently awarded the Sentinels of Safety by the National Mining Association (NMA). Vista Sand’s CEO and senior leadership team make employee safety a priority and do everything possible to create a safe and professional work environment.